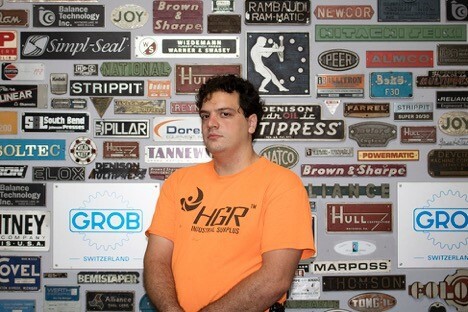 Jergens Archives - HGR Inc.
WorkRoom Alliance Program is working to create maker spaces as neighborhood cornerstones in order to upskill and reskill youth and adults in the skills needed by manufacturers. 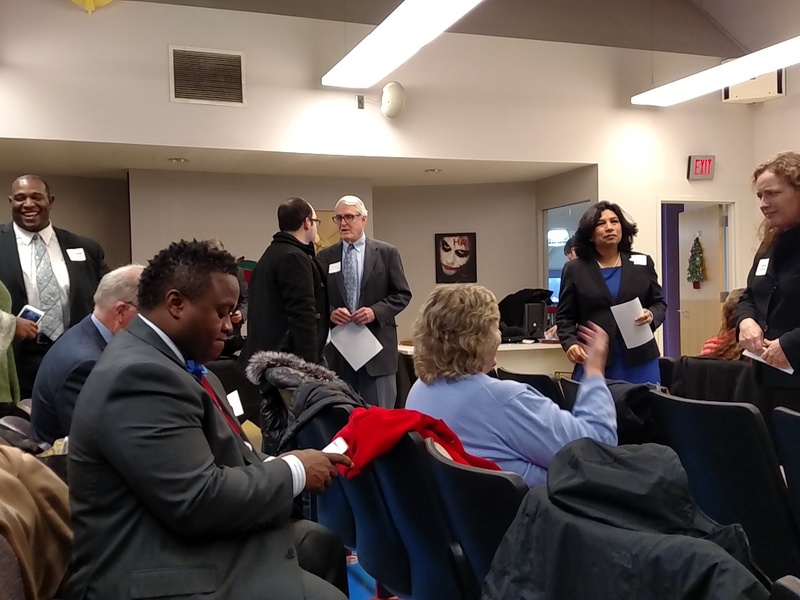 The organization is partnering with Cleveland Job Corps, a residential training center with a capacity to house 440 students aged 16-24 where they can go for no-cost technical and academic training for two years with one year of job-placement assistance. The third partner is Dan T. Moore Companies, a portfolio of 18 R&D companies that find and solve unmet industrial needs. The group, with a host of member companies, is seeking to put in place a plan, locally, to introduce students to the foundational skills for a mechanical mindset starting in the fifth grade and continuing through high school and beyond. 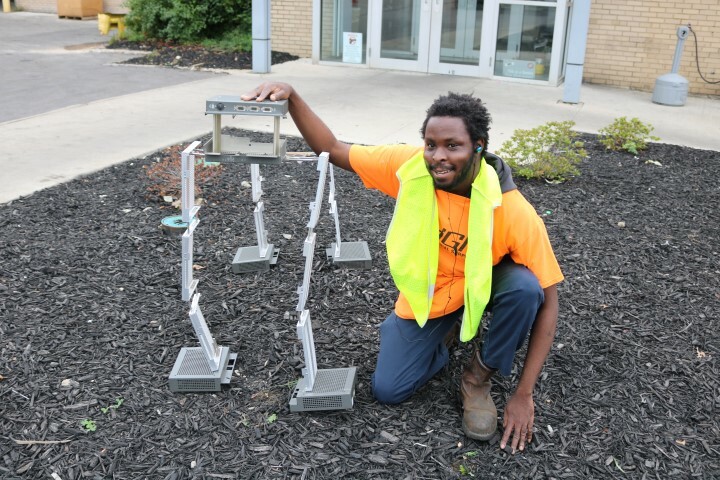 Its goal is to open a training bay at Cleveland Job Corps with a manufacturing facility and curriculum that align with the local job market’s needs. Job Corps will fully fund the program if Cleveland Workforce Summit partners will supply the equipment. This program will offer pre-apprenticeship training. Students then can go to apprenticeship training programs through organizations such as WIRE-Net and/or college to earn stackable credentials. If you are interested in participating as a partner in the Cleveland Workforce Summit, hosting tours for students or supplying equipment, Jason Drake can be reached at jdrake@dantmoore.com. 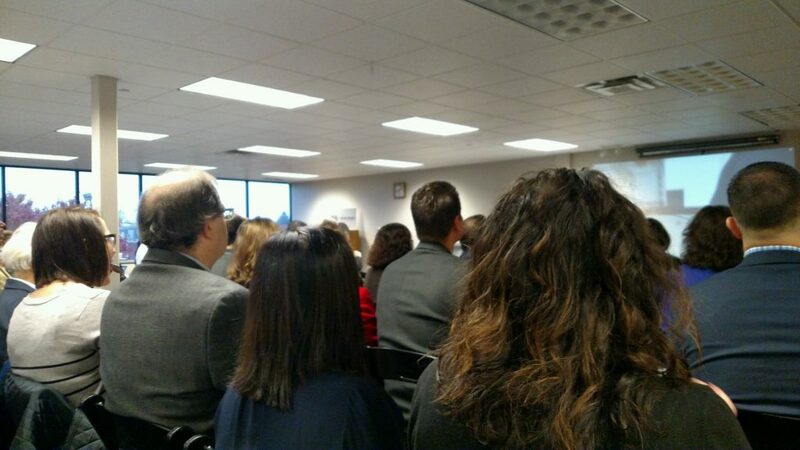 MAGNET’s 2016 State of Manufacturing address took place at Jergens, Inc.
On Nov. 16, 2016, MAGNET: The Manufacturing Advocacy and Growth Network, in conjunction with PNC Bank, presented its 2016 State of Manufacturing: Important Trends Affecting Northeast Ohio Manufacturers at Jergens Inc., 15700 S. Waterloo Road, Cleveland. There was standing room only as manufacturers and service-industry representatives arrived to hear presentations by Rich Wetzel, Youngstown Business Incubator, on the state of additive manufacturing and Dr. Ned Hill, The Ohio State University’s John Glenn College of Public Affairs and Ohio Manufacturing Institute, on manufacturing, the economy and the future. In opening remarks, Paul Clark, regional president, PNC Bank, noted that “Thirty percent of PNC’s loan commitments in Northeast Ohio have been in manufacturing for the past 20 of 40 years.” These loans help manufacturers with new product development, new markets and acquisitions. Wetzel, in his presentation on additive manufacturing, aka 3D printing, shared the seven main processes of additive manufacturing, with material extrusion being the most common, and says, “Northeast Ohio is becoming the capital of additive manufacturing and putting the area on the map.” He also shared that low-volume tooling is the low-hanging fruit and the easiest to implement for near-term opportunities but that the market tends to be risk averse. Another trend he discussed in depth was automation. Since 1979, we lost almost 5-million factory jobs but at the same time more than doubled the value due to productivity. In addition, he shared statistics that we have lost 13 percent of factory jobs to trade and 88 percent to automation and continuous improvement, and that robotics is expected to reduce labor by another 22 percent in the U.S. He asked the audience to consider how many jobs technology has saved rather than lost. The U.S., for the first time in recent years, is a threat to China due to its quality, efficiency and improved internal supply chain. He says that when manufacturing can 3D print a die, it will save 20-30 percent and can compete with China. And, as much as we would like to believe that manufacturing powers the economy, it’s actually powered by consumers who do 70 percent of the spending. They are buying the products we manufacture! Finally, he acknowledged the present problem of aging-out workers and the lack of a skilled workforce to replace them. He says manufacturing’s greatest enemies are parents, school counselors and OSHA, which limits workers under 20 from being on the manufacturing floor. We are losing talent to other industries. Let’s make these people our allies and work toward STEM education and a resurgence of interest in a field has evolved and shed its former stereotypical image. The Cuyahoga East Vocational Education Consortium (CEVEC) is a consortium of 17 schools that offers career-oriented curriculum, job training and mentorship to special-needs students by focusing on their preferences, interests, needs and strengths. 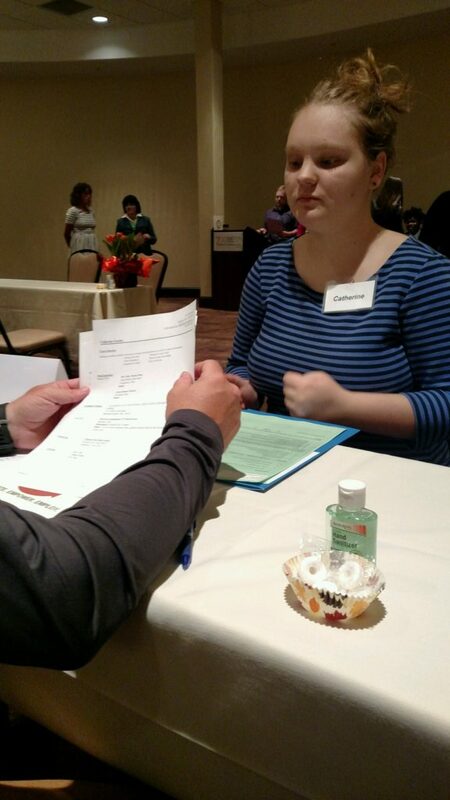 On Oct. 21, CEVEC hosted its annual mock interview day at the Hilton Garden Inn, Mayfield Village. 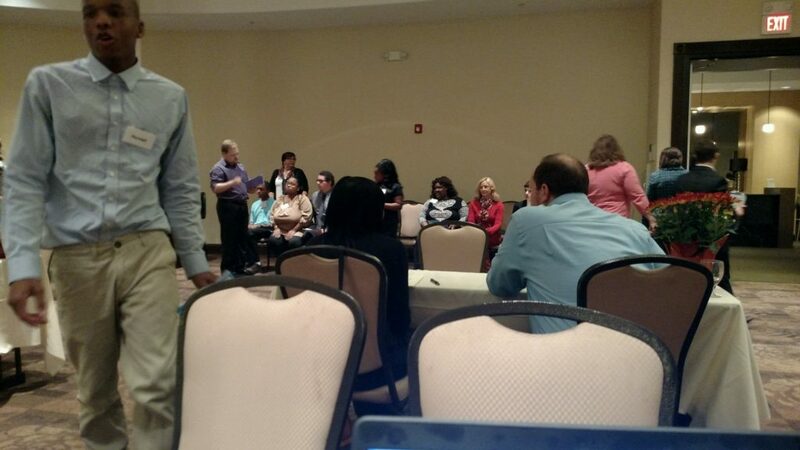 Three employees from HGR (CEO Brian Krueger, Human Resources Assistant April Quintiliano and me) attended to help 150 students with their interviewing skill. There were two mock interview sessions with employees from 50 Northeast Ohio companies, such as McDonalds, Rockwell Automation, Arby’s, Cintas, CVS, Dave’s Supermarkets, Giant Eagle, Hilton Garden Inn, Jergens, Panera Bread, Toyota of Bedford, and others. During the lunch break, CEVEC students and staff presented on a range of topics, including the myths and facts about hiring people with disabilities. Maybe one of these students is right for your organization. We found two long-term employees through CEVEC’s mock interview program. They have been an asset to our organization. I talked to HGR Partner and CEO Brian Krueger about his involvement with CEVEC. He told me that he first heard about CEVEC eight to nine years ago from family friend Sandy Seigler who said that he helps kids who, primarily, are communication-challenged but who are productive, resourceful, good workers. Krueger was asked to conduct mock interviews twice per year for two to three years and attended graduations and open houses. Then, he found himself needing to fill some positions at HGR. Our first hire from CEVEC, Jeremy, worked in the tear down area to re-itemize or scrap items. Now, he floats to different areas throughout Operations, including incoming, set up, tear down and scrap. Derrick cleans restrooms, sweeps aisles and assists in tear down. Krueger says, “I encourage business owners to look within their organizations to see if there are positions that can utilize these students’ skill sets.” Most of them have experience in food service, mailroom, restocking, carrying and moving, or tear down.